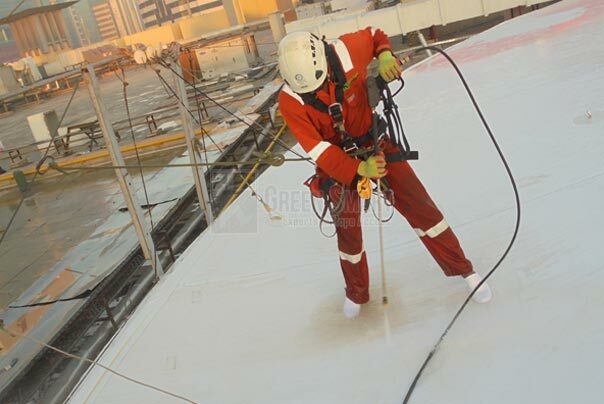 Green Smart Technical, a pioneer in providing rope access cleaning services in Dubai, has well-equipped and skilled workforce to reach any part of your high-rise buildings to provide safe and sustainable windows and exterior cleaning and maintenance services.Our rope access window cleaning personnel are adequately trained to carryout work at dangerous peaks and are fully aware of international and local safety standards, latest cleaning methods and risk management. 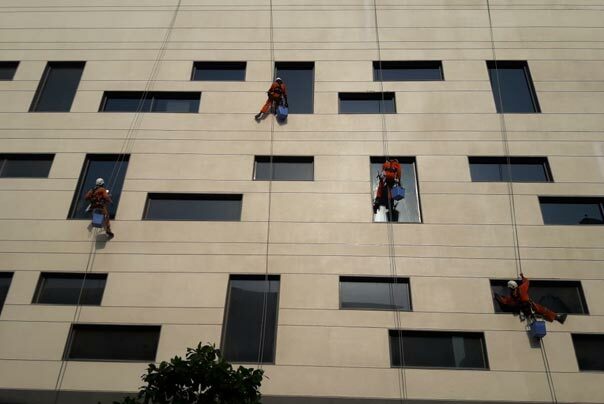 While performing exterior, window or façade cleaning or maintenance works, technicians are always under the watchful eyes of experienced supervisors who ensure that all works are performed in a safe and responsible manner. 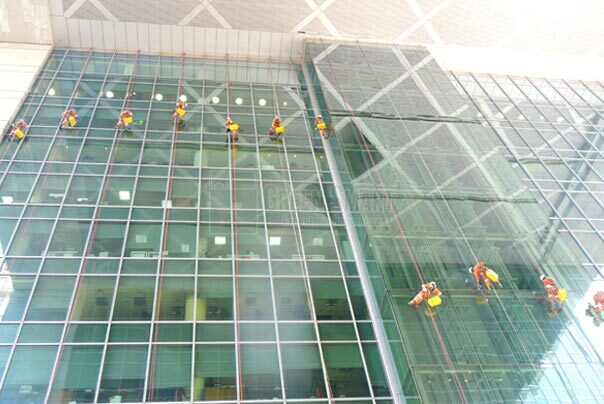 Green Smart Technical, which offers the advanced, convenient, sustainable and cost-effective commercial rope access services like Window Glass cleaning, Façade, Pressure Washing and High-rise Building Window cleaning in Dubai, knows the importance of keeping your workplace and surroundings, including exteriors of the buildings neat and clean in order to create a positive impact on your prospective business clients. We also value your business hours and hence always schedule our high quality cleaning works that you need at a convenient time. This helps you to continue your business operations without a break while we work on your building’s exteriors to keep glass windows, surfaces and facades spotless. 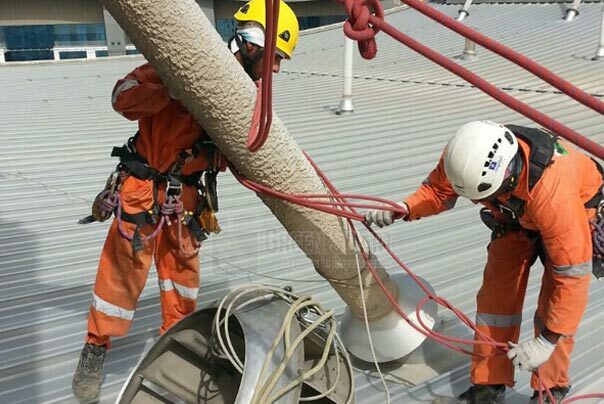 Having strong customer base in UAE and surrounding regions, our expert rope access cleaners are capable of reaching any dangerous or inaccessible peaks of high rise buildings to perform repair, cleaning or maintenance works without compromising on safety, health and environment of the incumbents and workers. 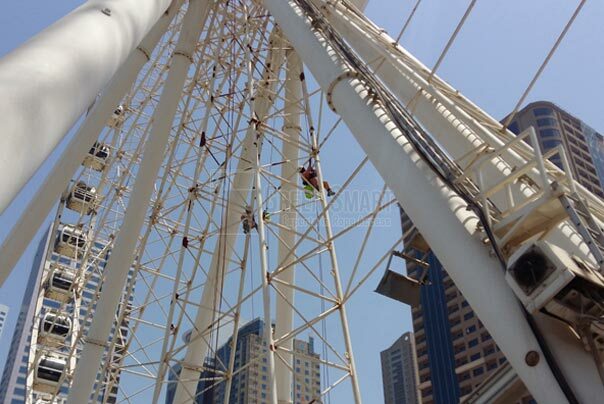 We offer the most effective and advanced rope access cleaning services in Dubai. Whether is a hard dirt or graffiti on your building’s exterior walls, tiles or driveways, our washing technique will keep the place rid of dirt or stains.